"More journos than common man"
Speaking to Firstpost, one of the prominent journalists at the venue says, "There are more journalists than ordinary people at the protest. Flop show!" 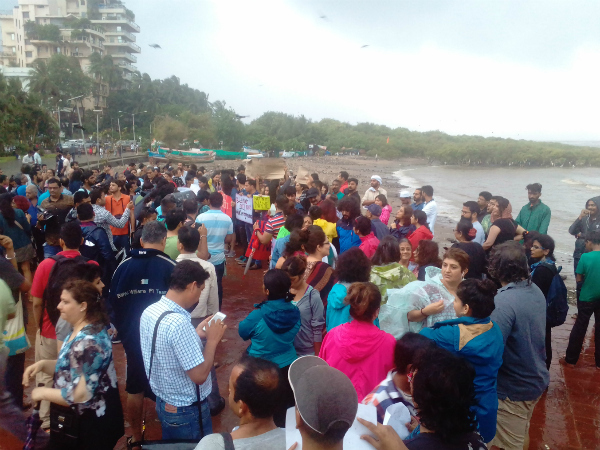 Speaking to Firstpost, Chatterjee says that the crowd has showed up because their of their common need to heard. 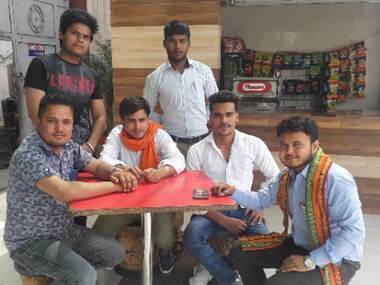 "We're here to say, you know want, there are Hindus who love peace. 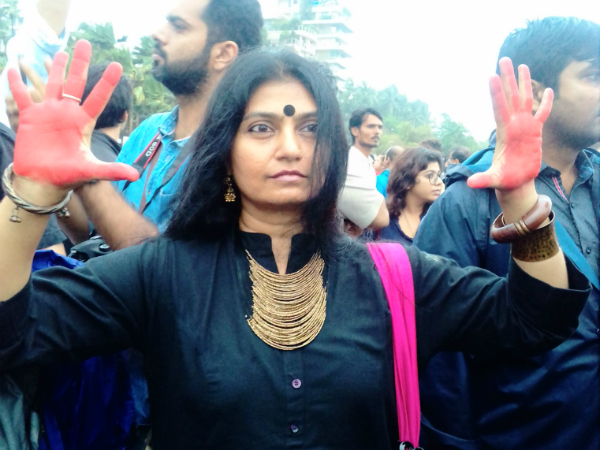 We don't believe in differentiating religions," she says. "Har ek zaba pe taala hai (Every mouth has been shut)," says Raza at the gathering. 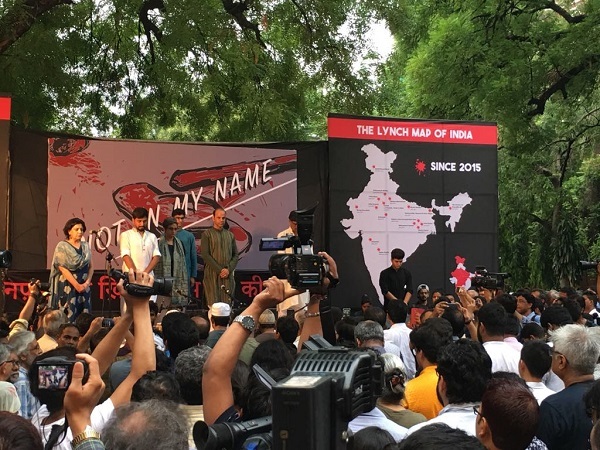 "We see more and more that mobs are getting away with murder across the country and I'm here to stand in solidarity with everyone demanding justice for that and the government atleast address this issue," Ranvir Shorey says on speaking to Firstpost at the Mumbai march. Citizen protests will be held in different cities on 28 June. Saba Dewan, a Delhi-based independent filmmaker, started a Facebook event on 24 June. "Perhaps we should plan a larger campaign on 2 October and reclaim Gandhi from the politicians to celebrate it as Humanity Day. Celebrate it as a day of diversity, plurality, amity and harmony. Share stories of everyday heroes who've who stand up for each other in these troubled times," he writes. 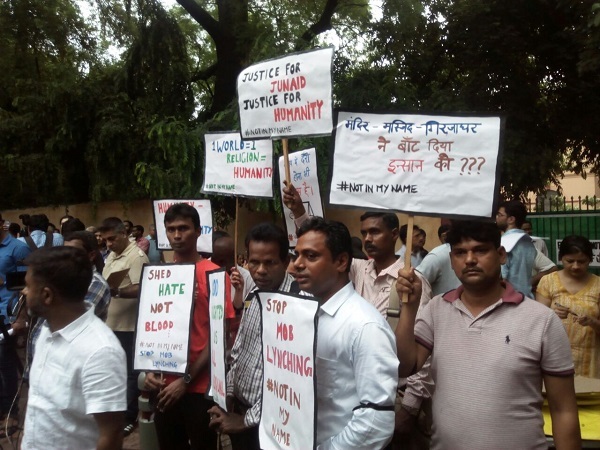 "This is not the India we want. Junaid is our son and people were waiting for somebody to come forward and protest. I have come. We all have come. 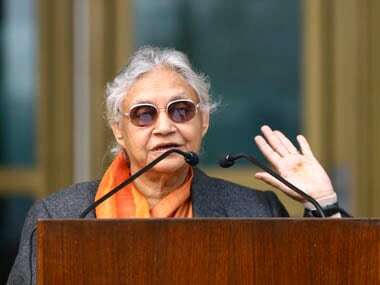 We haven't done anything apart from raising our voice," she says. "The main objective of our being here is the demand that they take action and uphold values enshrined in our Constitution," she adds. Dewan says that the right to life is non-negotiable for every citizen and it is a matter of shame that the government has to be reminded of it. She further says that we believe in democracy and are enraged at the systematic violence. 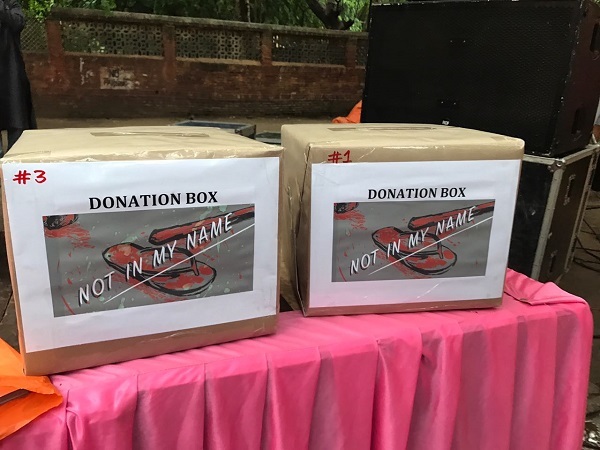 "If you are coming to the protest kindly look out for donation boxes.This is a citizens protest and will be organised only through contributions of indvidual citizens," said Rahul Roy, an organiser, in a Facebook post. Thousands have pledged to hit the streets in support of the campaign. 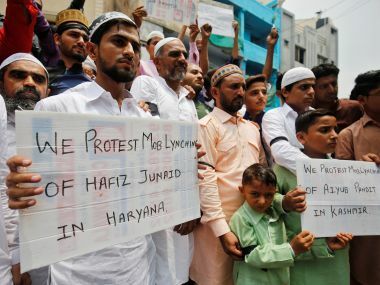 Following filmmaker Saba Dewan's Facebook post calling people to protest against the lynching of Muslim teenager Hafiz Junaid on a local train in Haryana, thousands have pledged to attend the protest marches scheduled to be held in various cities across the country on Wednesday. 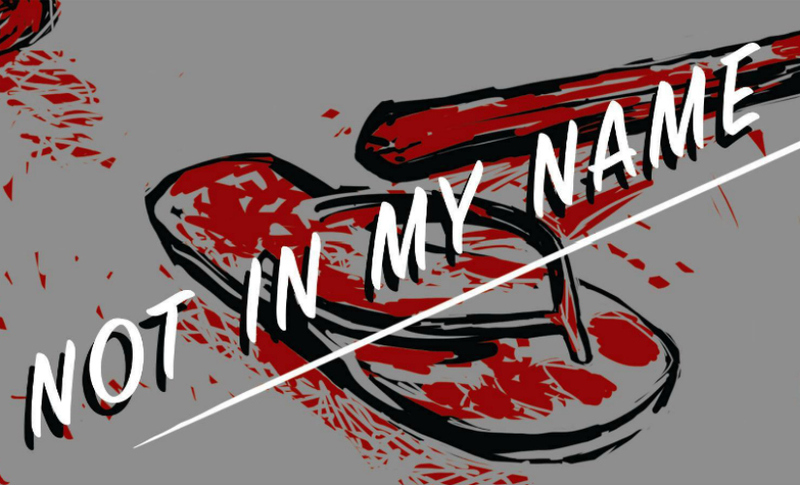 "Not In My Name" protest marches will be held in Delhi, Kolkata, Mumbai, Bengaluru, Boston and Karachi, among others. Dewan said that the campaign reflects the anger and grief of people. The protest march in Delhi will be held from 6-8 pm at Jantar Mantar on 28 June. 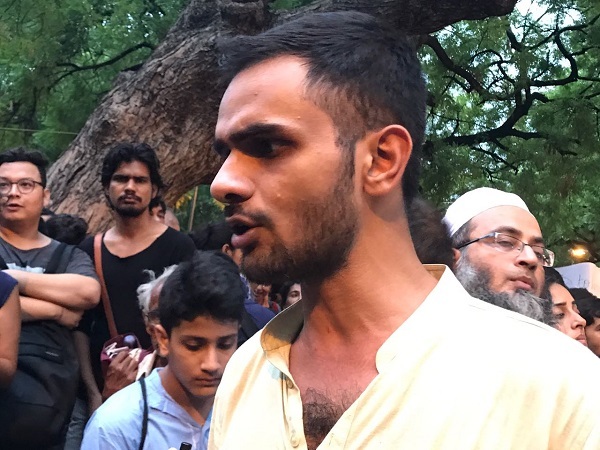 Junaid's family will also be invited to join the demonstration, Dewan said. 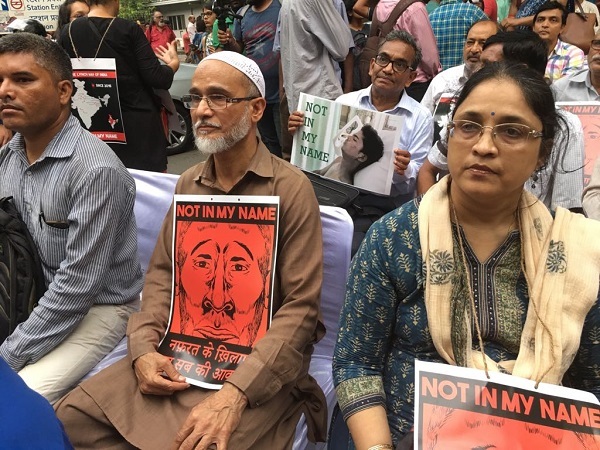 The protest in Delhi will start with the gathering offering condolences to the family of Junaid and Pehlu Khan, a dairy farmer who was lynched by cattle vigilantes in Rajasthan in April, The Huffington Post reported. 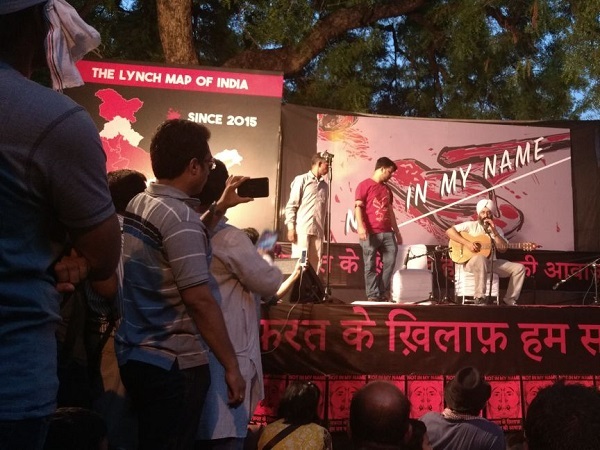 Initially planned as a silent protest, Dewan said that there will also be music and poetry but no speeches. 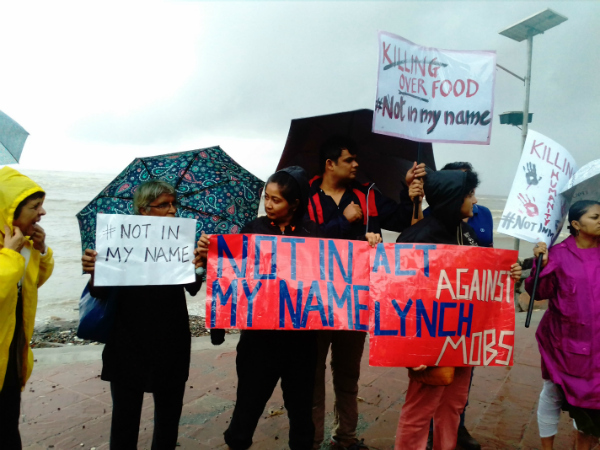 'Not In My Name' is a citizen protest against the recent spate of targeted lynchings of Muslims in India, reads the description of the Facebook event page. 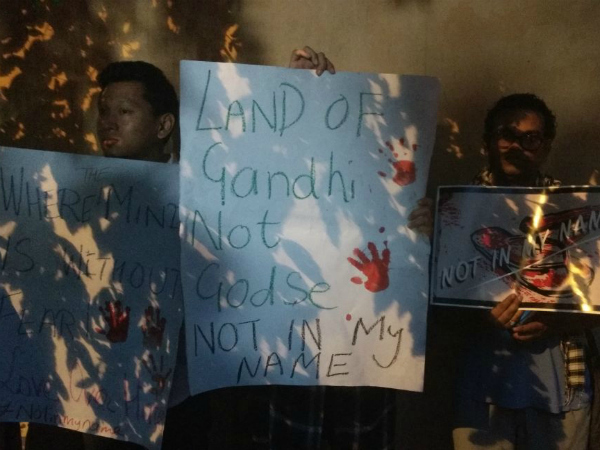 "Please carry banners with the slogan - Not in My Name. This is a citizens' protest open to all. Everyone is welcome but without party or organisational banners," the invite reads. 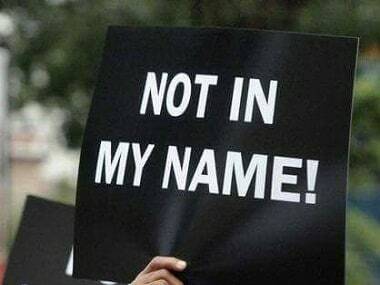 Dewan told The Huffington Post that he called it "Not In My Name" because it is a rallying cry from the anti-Vietnam war movement from the United States in the 1970s and it has been part of a public consciousness. 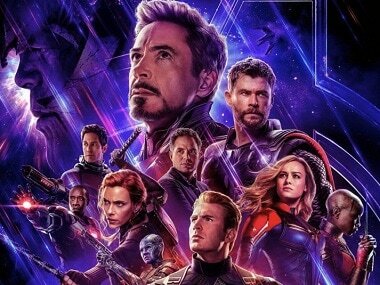 He also said that a poster designed by Orijit Sen is being used everywhere. 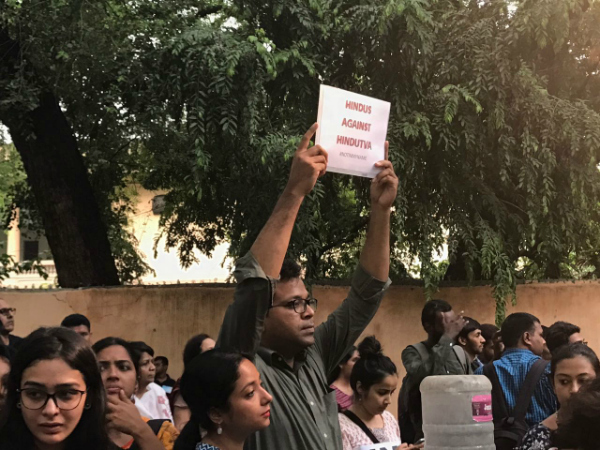 Event organisers told The Indian Express that they sought to question the pattern of the attacks on the minorities in the country and the silence of the government over the killings and cases of lynching of Muslims and Dalits. "I never realised the response would be so overwhelming. Despite the debilitating violence, these protests will make us feel we are alive and spark hope," Dewan told PTI. 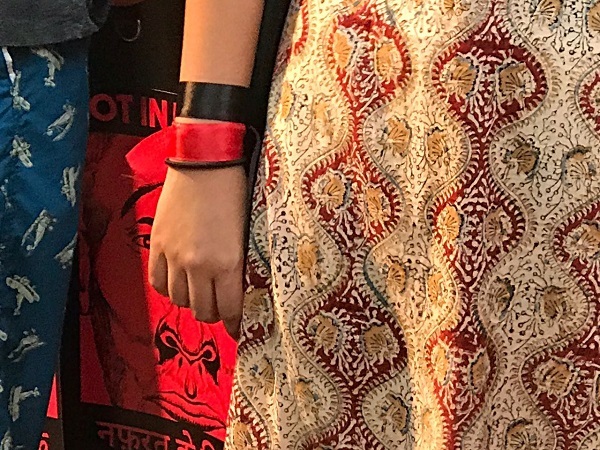 The campaign sought to "reclaim the Constitution" and "resist the onslaught" on the right to life and equality, the Gurgaon-based documentary filmmaker said. 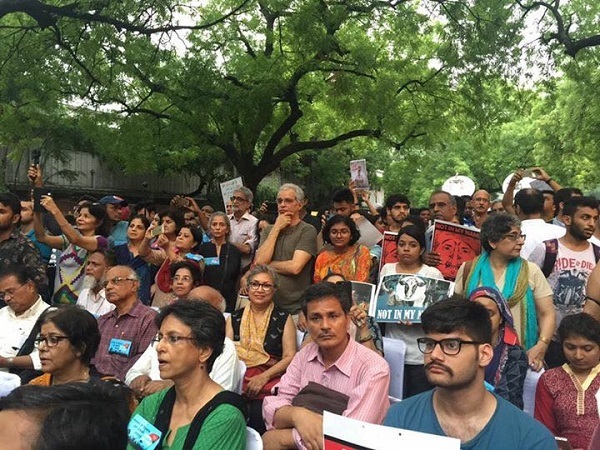 On 24 June, Dewan had asked every citizen repulsed by the violence to gather at Jantar Mantar. 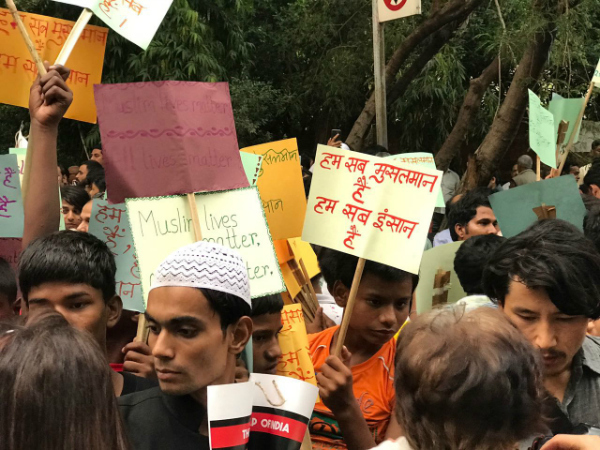 He called for protests against the spate of lynchings that have taken place in different parts of the country in recent weeks.